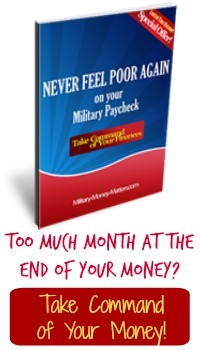 Your military pay is composed of a number of different pay entitlements: basic pay, BAS, BAH, pro pay, and any number of other allowances, so it can be confusing to try to figure it all out. Because there are so many variables in the amount of pay and allowances, we are including links here for you. On January 28, President Bush signed into law the $696 billion defense authorization bill, which granted a 3.5% pay raise, retroactive to January 1, 2008. Per diem rates - CONUS. Per diem rates - OCONUS, Overseas & Foreign. Retirees and those receiving Survivor Benefit Plan (SBP) annuities began seeing a cost of living adjustment (COLA) representing a 2.3% increase effective December 1, 2007. If you need a copy of pay tables for earlier years for some reason, they are available from DFAS also.